By the time Tanner was in first grade, he was having as many as 50 epileptic seizures a day. A medical scan at age 4 revealed a golf-ball size tumor in his brain’s visual center. Tanner’s doctors tried every treatment option until only one remained: Remove more than a third of the right side of his brain to excise the brain tumor and the surrounding area that was causing his epilepsy. Today, five years after surgery and now 12, Tanner is indistinguishable from other kids his age. 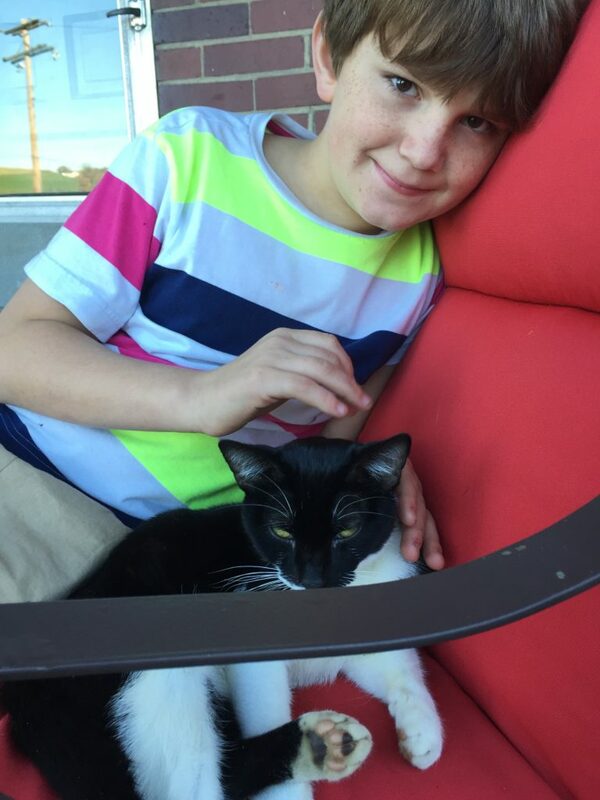 His seizures stopped immediately after surgery, and two weeks later, he was back in school. He’s now a straight-A honors student. Tanner’s medical story is an isolated incident, and many factors could have contributed to his recovery, including his age and the exact location of the tumor. Still, Tanner’s experience is remarkable because it challenges many assumptions about the human brain’s plasticity, or its ability to reorganize itself. One assumption has been that this region of the brain is less plastic at Tanner’s age. Another is that facial recognition only develops in the brain’s right hemisphere. 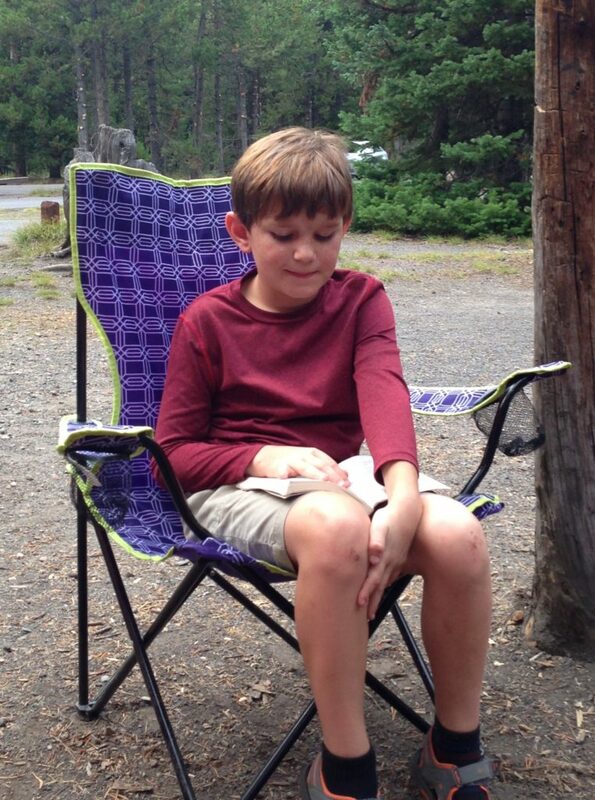 Tanner lost half of his visual centers, including the brain region that recognizes faces. Instead of losing this skill, his brain shifted the job elsewhere. Even though he is missing a third of his right brain hemisphere, Tanner is indistinguishable from other kids his age. He is a straight-A honors student who loves science and math. Photo courtesy Tanner’s family. While some brain functions seem “hard-wired,” others are flexible thanks to brain plasticity. But as people age, the brain becomes less adaptable. Discerning when things are permanently fixed is crucial for predicting both when brain surgery might be necessary and the possible outcomes. Tanner’s case shows the brain isn’t as fixed as was thought, so doctors and parents might consider surgery as an option much earlier, rather than as a last resort. His doctors recount the three-year period after the surgery in a study published Tuesday in Cell Reports. Put your finger on the very back of your head, and you’ll be pointing at the occipital lobes — the part of the brain responsible for processing visual information. Both sides of the brain have a single occipital lobe, and these adjacent areas discern between visual patterns, like faces, landscapes, objects and words. As brain development progresses through childhood, the right side of the brain specializes in recognizing faces, while the left side focuses on words. It’s kind of like a room was made to incorporate face representation. Such was the case for Tanner. Surgeons had removed his entire right occipital lobe, as well as most of his right temporal lobe. Typically in adults, damage to the right occipital lobe leads to face blindness, or prosopagnosia. But in Tanner’s post-surgery exams, the only deficiency doctors found was a reduced field of vision — meaning even though his eyes are fine, he cannot see the left side of his world. This makes him occasionally bump into things, but he can still ride a bike, said his mother, Nicole. Tanner’s tale contrasts with the famous case of H.M., who, as an adult, had surgery to treat his epilepsy. In 1953, surgeons removed entire sections of H.M.’s medial temporal lobe on both sides of the brain. The procedure stopped H.M.’s seizures but impeded his ability to form new memories. When Tanner’s neurologist told his parents that Behrmann’s lab was interested in conducting a follow-up study on his brain, they were happy to help. “We couldn’t find any information when we were trying to decide what to do. We we thought it might help other parents that are in that situation,” Nicole said. Starting six months after surgery, Behrmann’s lab tracked activity in Tanner’s brain with functional magnetic resonance imaging (fMRI) scans. They took the same scans five times over the course of three years. The researchers mapped which parts of Tanner’s brain became more active when he looked at various pictures, like a face, a landscape, an apple or a word. It was evident in the first scan that the left occipital lobe had taken on facial recognition tasks. Even though both face and word recognition were occurring in the same hemisphere, Behrmann said they didn’t appear to compete — there was no cost to word recognition. But there were consequences. 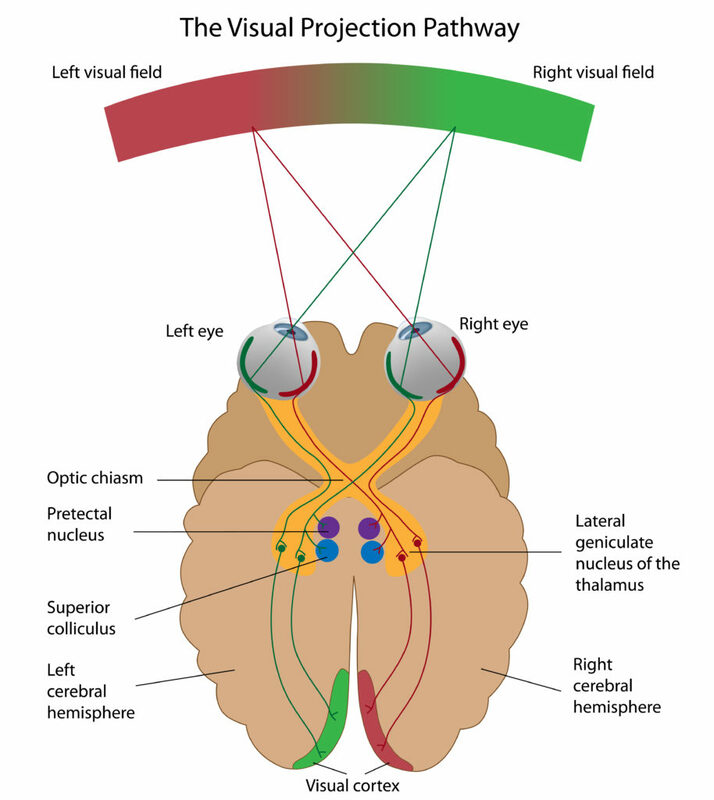 Tanner did not recover his left field of vision, likely because the right occipital lobe acts as a “gateway” for visual information coming from the left visual field. “There are clear limits on what can recover and what can’t recover. Because the circuits that lead into the brain are already established, it’s quite hard to get them rewired,” Behrmann said. Sabine Kastner, a neuroscientist specializing in vision at Princeton University who was not involved with this research, said studies of visual development in normal children have inherent drawbacks. Unless parts of the brain are removed, scientists can’t tell if brain abilities are innate, or hard-wired to develop in a certain place. Because Tanner did not lose the ability to recognize faces, and Behrmann’s lab observed facial recognition shifting to the left hemisphere, Kastner said this study shows facial recognition is not innate, nor is it fully developed at a very young age, as some have thought. For the 4 to 6 percent of drug-resistant epilepsy patients who undergo brain surgery, Tanner’s case provides much needed data. Because tracking a patient over time is difficult, Kastner said that longitudinal studies like Tanner’s are rare. H.M.’s case completely changed the thinking on memory. At the time, scientists thought memory was spread throughout the cortex, the outer layer of the brain, but H.M.’s brain clearly housed memory deeper inside. Thanks to H.M. and patients like him, brain surgery has since improved vastly — before Tanner’s surgery, he spent a week hooked up to electrodes embedded in his brain so surgeons could map his language and motor skills. Kastner cautions that the brain plasticity Tanner experienced might not translate to other brain regions. It’s well known that plasticity can also help a child’s brain recover from an immediate injury like a stroke. But Tanner’s case widens the scope of how plasticity behaves in the brain after injury or surgery. Most doctors think that regaining brain function only happens within the first year after injury, said Kastner, but Tanner’s brain continued to shift for at least three years. Seizure-free for the past six years, Tanner now enjoys a normal life. His reading, language, math and motor skills are normal, though he occasionally bumps into things due to a reduced field of vision. He plans to pursue a doctoral degree. Photo courtesy Tanner’s family. It’s also possible that in Tanner’s case, his facial recognition began moving to the left hemisphere as soon as his seizures began when he was 4, said Isabel Gauthier, cognitive neuroscientist at Vanderbilt University who was not involved with the research. Behrmann agrees reorganization before surgery was probable in this case, but she doesn’t know for sure because evaluations of facial and word recognition with fMRI were not conducted before Tanner’s surgery. Behrmann said Tanner opened the door for this research program, and her future studies will map visual systems in children’s brains both before and after surgery. “I think it gives a great deal of hope and optimism that people who lose brain tissue may be able to recover a lot more function than they think is possible,” Kastner said. Amanda Grennell is PBS NewsHour’s 2018 AAAS Mass Media Science & Engineering Fellow. She recently earned a doctorate in chemistry from the University of Colorado Boulder as a NSF Graduate Research Fellow. 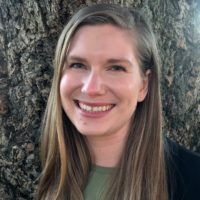 Outside of the lab, Grennell acted as senior editor for the graduate student blog Science Buffs, artistic director for the first annual ComSciCon Rocky Mountain West and a writer and social media manager for Chembites.